'Twas the 30th of August, 1957. The Union Jack descended from the flagpole as the British sang God Save our Queen, dignified in defeat. They knew the Empire was expiring after the Second World War, and so they agreed to disassemble their realm. 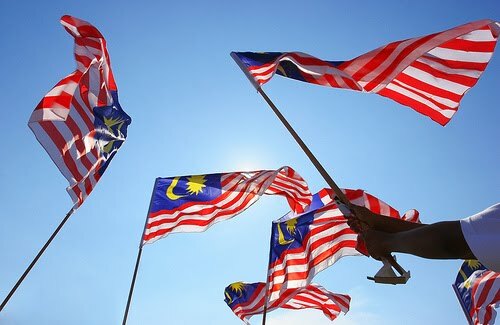 In the first hour of the 31st of August, 1957, an infant flag, later to be called the Stripes of Glory, was raised; thus raising the aspirations of the fair people of Malaya. Later that day, the newly-built Stadium of Independence was jammed packed to the brims as the British conceded power to the Chief Minister of Malaya, the beloved Tunku. With that, he declared, with utmost pride and elation, the all-too-familiar, seven-lettered, Sanskrit-rooted word that is Merdeka! It is solemnly enshrined in the five central Pillars of Islam, that a believer must fast for a month, the period allotted in the lunar month of Ramadan. Within this period, one would reflect upon the excesses of worldly life, and desire to be liberated from it in the hereafter. This could be seen in the manifestation of Eid-ul-Fitr, celebrated in reflection of the life eternal.